When I moved into my house, it came with a crude workbench in the basement that was bolted to the concrete floor. I imagine it was original to the house (built in the early 1920) and it quickly became a problem: it wasn't big enough, the space wasn't practical, and I couldn't move it where I wanted it to be. For a while I puzzled how to get it out (the bolts couldn't be unbolted or cut) until I hit upon a solution: I had a red, six-ton bottle jack and I simply placed it on the floor on a piece of 2 X 4 and just cranked it up. Before long, there was a POP! and the workbench left its prison (leaving a fist-size hole in the floor I filled in with Waterplug cement). When I moved it away from the floor, I realized I probably wasn't the first person who disliked the workspace: I found a small, hand carved wooden toy boat between the back of the workbench and the wall. I imagine some guy, possibly in the 1940s, was listening to Orsen Welles doing 'The Shadow' radio program, got distracted by a commercial for Blue Coal and accidentally dropped the boat behind the workbench. Unable to retrieve it, he couldn't give it as a gift to his son,who today is probably in a retirement home thinking how much better his life would have been if he was more interested in boats. 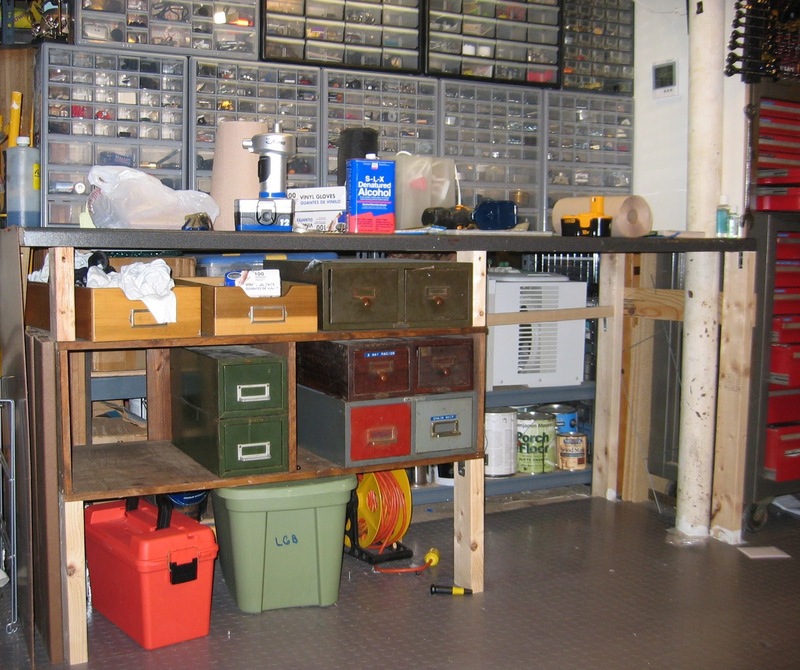 My point is: with a bad workbench, nobody wins. 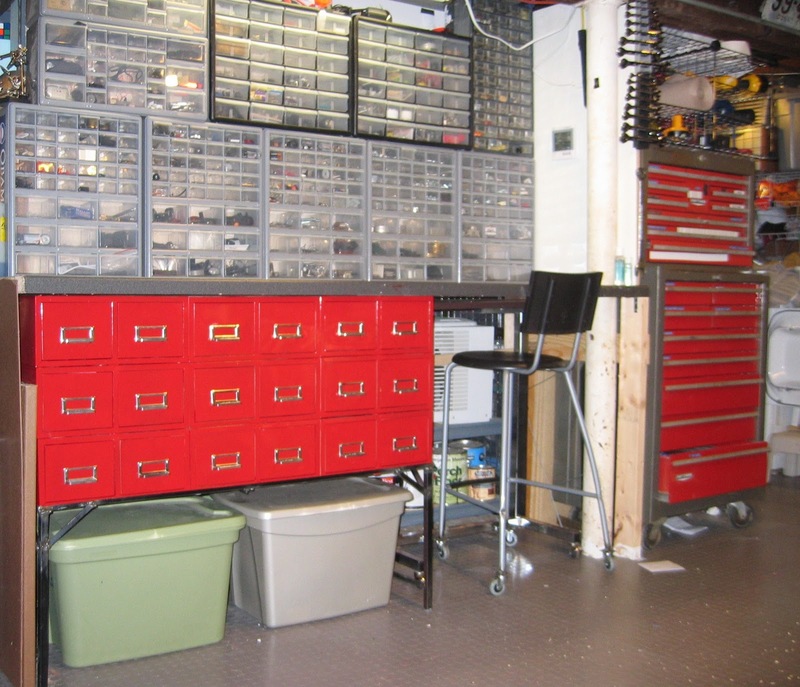 If your home comes with a workbench that doesn't work for you, get rid of it at all costs. Bear in mind, this is what REPLACED the 1920s built-in workbench that I had deemed useless: We've got a piece of IKEA furniture (it had been a coffee table-ish thing with wheels at one point) and a gray countertop bought from IKEA for $9.99 - their 'as is' section is a goldmine from time to time - and a bunch of plastic sorters piled on top. As I just said, I can't find the little wooden boat, so the workshop is a lot less organized than it looks. Pay attention to the metal two-drawer cabinets in the middle. They are mismatched and were picked up at a variety of tag sales, and one day I happened to find nine identical ones (painted beige) at a sale in New York state. I thought they'd make a much more attractive workbench if I painted them. So since I had recently taken up welding (much, much more on this later) I decided to try and weld a metal frame to hold all nine of the metal cabinets and tuck them under the same IKEA $9.99 countertop. Welding experts who look at the picture below: please remember, I am new at this. Okay, so it isn't pretty to look at, but it's fairly strong. I just wouldn't move it or jump up and down on it or anything like that. The metal framework in place (if I knew how to make clean, pretty welds...and measured properly...it would have made a very nice coffee table) I set to work on the metal cabinets. I set them down and spray painted them red. Before long, I was able to carefully slide it into place (all without moving the IKEA $9.99 counter too much). The red really matches the metal rolling cabinet my dad gave me years ago, doesn't it? I was very satisfied with what I had done. I just can't put very large tools in the drawers. 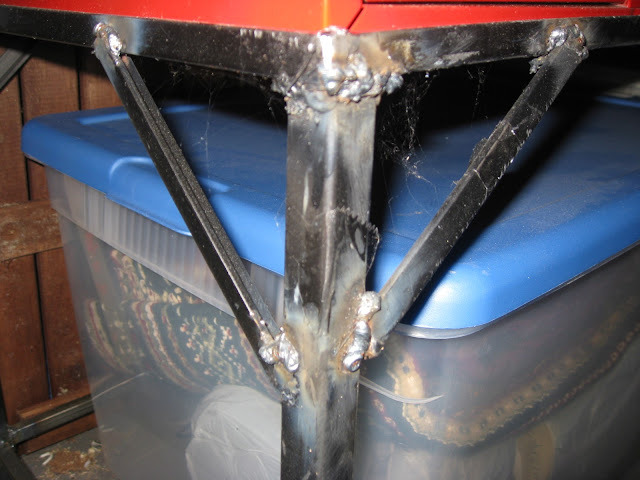 If you're still making fun of my welds, take a careful look at the cheap IKEA (yes, IKEA again) bar stool on wheels. It didn't come that way. I welded those wheels there years ago and none have broken off. While most people consider the best budget floor jack, it is important to find one that will serve your needs effectively. You need to consider the weight of the vehicle so that you can find an automobile jack that will support the weight of the vehicle. 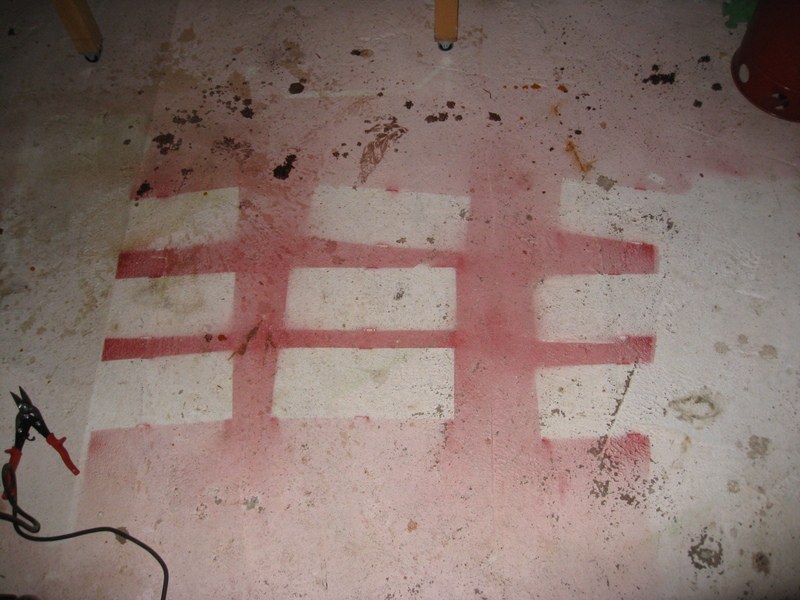 Pittsburgh floor jack guide is one of the best floor jacks. If you want to get this,contact with automotive tools point.